THURSDAY UPDATE: I met baby Sawyer yesterday, stroked his chubby baby toes, hugged his mama, and prayed over him. He is beautiful and so sweet. Sawyer is scheduled to have open heart surgery to repair TGA this morning at 8:30am. PLEASE PRAY…. New Walking With You is finally up here. This week, we are talking about letting go and holding on while in the pit of grief…and finding the way out of the pit. The next post coming sometime between this Thursday and next will be the last one in the Threads of Hope series. Then we will be taking a little break from Walking With You, and praying for direction on how we can best offer support for grieving moms through this outreach. I continued my theme of inadequacy…but God’s grace covered that too. I felt like it was hard to get the words out, and I wasn’t sure if it flowed as easily as it generally seems to. But, the ladies came forward to give a donation and to share their own testimonies of grief and grace in their own lives. I had the privilege of hugging grieving moms and listening to stories of His love and comfort. And, I met lovely women who want to help share about Sufficient Grace with the patients they work with, and another lady who is willing to help us make gowns for the babies in need. Sufficient Grace was blessed with a generous donation and I was blessed by the hearts of these women. Folks…God is faithful, when we are faithless. And, can I just say…IT IS SO NOT ABOUT US…SO NOT ABOUT ME AND MY ABILITIES….and for that, I am unspeakably grateful. There was also a baby shower on the schedule this weekend for my best friend from high school, Nicki. Nicki delivered baby Sawyer about five weeks early on Friday, however. Sawyer has a condition known as TGA… a very serious heart condition…actually fatal without intervention. Her sweet baby boy is scheduled to have open heart surgery on Thursday. He is a little fighter…and has been fighting away since Friday. There are some other concerns as well. My heart is heavy for this little family. I know that you probably already know that sweet Stellan needs our prayers. I have been praying for this sweet boy whom I adore, without ever having met him. But now, his little heart is struggling…and his need is desperate. I am on my knees for this family, crying out to our Father on his behalf…and also praying for his beautiful MckMama and family. He is being airlifted along with his parents to Boston, soon. This amazing family is so dear to my heart…and sweet Stellan has forever captured the hearts of people around the world, including mine. Please, please pray. 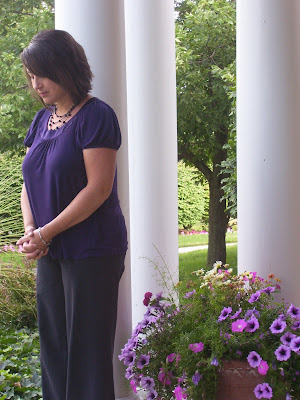 Please pray for my bloggy-friend, Vera, who has just recently found out she was pregnant after trying for awhile. She just received some disheartening blood work. Also, please lift the family of Megan Grace in prayer. Megan went home to heaven this week. Please pray for the Lord’s comfort and healing touch on both of these situations. And, please take some time to stop by their blogs to show love to these families and let them know you are praying for them. It will mean so much…to know that they are not alone. Lynette had another great idea(one of the best ideas, actually! )…praying for one another. I’ll make this brief because I’m tired and it’s almost time to tuck James in and say prayers. I don’t have the time and energy to take a picture, so forgive me for cheating and just putting up my profile pic which you’ve seen a thousand times! 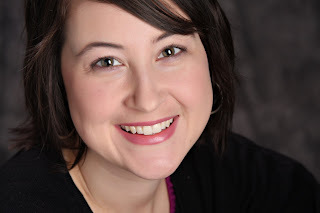 (You’ll recognize my big ole chipmunk cheek framed smile without a sign, though!) Tired or not, I really do wish to participate and I could use your prayers. 1. Please pray for the Lord’s provision for Sufficient Grace Ministries…for continued unity, wisdom, and the Lord’s leading for upcoming fundraisers that we are planning. For willing hearts to give and support us. For choosing dates for the golf outing and ice cream social. And possibly reaching out for fundraiser projects in blog world. 2. For balance for me as I juggle family, work, and ministry…for adequate rest and strength. 3. For right priorities and a right attitude. 4. That I would bring glory to God and show the love of Jesus in my relationships and through all of our ministry outreach opportunities. 5. That God would continue to guide, bless, and grow our efforts in this ministry and to reach out to even more… offering comfort and hope to families who grieve. Please pray for Kayleigh and the beautiful Freeman family. I’m sure many of you already know Kayleigh’s amazing story. Also, a sweet three year old boy named Joshua who is battling cancer could use our fervent prayers, along with his family. He is not doing well right now. I am in love…completely head over heels in love. Smitten with a blue-eyed bundle of beautiful baby boy sweetness named Stellan. I’m sure you’ve heard of him. And I hope you are on your knees today storming the gates of heaven on his behalf. That is where you’ll find me…on my knees…praying as a mother who has knelt beside the hospital bed of her own babies…praying as I would for one of my own. Praying for the heart of the boy who has captured mine. 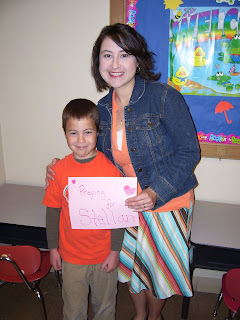 Today, as Stellan faces a very risky surgery, we are praying and wearing orange in support of him. I hope you will join us. Today, the simplicity of His word strikes me. Our God, in His infinite wisdom did not make His truth difficult or elusive. He speaks to our hearts and His instruction is so simple. He gives so much and requires so little. Can’t you just feel the peace washing over you as you read His words? He wants us to trust Him and do good. And then…we get to dwell in the land and feed on His faithfulness. We don’t have to strive or place unnecessary expectations or demands on ourselves. We don’t have to measure up to a standard or fix all of our imperfections before we come to Him. We just dwell in the land and feed…like little sheep being cared for by a loving, faithful Shepherd, who longs to meet our needs. What’s next? Certainly some sort of mountain-climbing feat…some great sacrifice. Nope. Delight. Delight yourself…in the Lord. Delight sounds good…feeding and delight. I think I can handle that. And then…He shall give you the desires of your heart. Oh…He is good. Do you know what I feel when I read these words? Rest. Hope. Peace. I am cared for. Loved…loved beyond description. As we turn to I Peter, I could write pages on these scriptures, but I will stick with just a couple. Some that are special to me. Words I have clung to…promises that kept me from drowning…more than once. Promises I will doubtless cling to again. In the midst of the trial it is no small thing to rejoice. And frankly, who is thrilled about facing pain, sorrow, illness, or loss? No one would say, “Yes…bring it on.” No one asks to suffer or does it with excitement. But, there is hope in the midst of sorrow if we look past the pain and fix our eyes on the One who saved us…the One who will carry us…the One with a plan and a purpose for every moment of our lives. And, even though our loving God is not the author of our suffering, He is able to use our trials to refine us…to reveal more of Himself to us…to draw us near to Him. It is in the place of clinging to Him alone that I have learned that He is truly all I need. And He is truly all He says He is. I wouldn’t know that if I hadn’t walked in the place of such desperate sorrow. I wouldn’t know the peace of being carried, or the inexpressible beauty that could come from the most hideous of ashes. There is a sweetness that I would not know of had I not tasted the sufficient grace that was fed to me in the darkest valley. With each new trial comes a new taste of His sufficiency and love. And all of it has developed in me a desperation for more of Him…a longing for the promises we have in Him…a desire for heaven and all it’s redeeming glory. Many of you probably already read MckMama’s blog. Her little MckMiracle, Baby Stellan, needs our prayers. He experienced heart problems in the womb that doctors said would certainly cause his death. He did not die, though. Sweet Stellan lived and when he was born, doctors said there was no evidence of the heart condition previously diagnosed. His healing was a miracle…and we collectively praised the Lord. Stellan has been thriving at home…a happy, healthy beautiful miracle. Last night, he was taken to the ER with respiratory concerns. He was given albuterol treatments and then his heart rate raised to dangerous levels…just like the levels reached when he was in the womb. He was rushed to Children’s Hospital and is now in the PICU. Doctors have tried several medications to lower his heart rate to no avail. Please click here to read updates on Stellan’s situation. Please pray for his healing, for peace and comfort for McKMama and Prince Charming…and for their entire family, and for wisdom for the doctors. Please, please, please pray. Oh, His word pours over me like a healing balm this morning. What sweet relief to surrender…to be carried in His loving arms. What blessed assurance awaits us in His embrace. What sufficient grace for every moment…every step of trusting in Him. What peace that surpasses all human understanding. I do not have words to convey what your prayers have meant to me. Thank you for your willingness to pray for me…for my family. Last night, I was carried by your prayers. The need to focus on my family and my duties as a mother, is great. And, I confess, I was not feeling very focused on last night’s speaking engagement. I prayed with Becki before we walked into the beautiful home where our meeting took place…”Lord, if this is going to be anything valuable or fruitful or even make sense…it is going to have to be all You. Pour out your grace, speak through me with Your Holy Spirit.” On my own, I had nothing to give last night…never have I felt more like “nothing” in my life than before I walked in to share with these beautiful ladies. Physically, I felt weak and exhausted…congested, nauseous, head-achy. I’m sure they would be shocked to hear that because anyone there would never have known that’s how I felt. When I walked into the house and opened my mouth to speak…I was lifted up and carried. With every word, my physical countenance grew stronger, my spirit was encouraged. The Holy Spirit ministered not only to the ladies present, but to my weary soul…my heavy heart. Joy and peace flowed through me. I even ate with vigor the lovely treats the lady of the house shared when I was finished with my presentation. I wish I had the presence of mind to take pictures of her adorable pistachio ice cream cake with hand-made chocolate shamrocks…or her lovely table-setting…or the matching green punch I savored. I felt strengthened and loved in the presence of these amazing, faithful women who love Jesus. The body of Christ is a beautiful thing to behold…and a humbling gift to be part of. If any of them are reading this today…they will never know how much they blessed me last night. These ladies are an excellent example of the body of Christ in action. They are the hands and feet of Jesus. And it was a great honor and blessing to meet them. When I got into the car to leave, I was immediately congested, filled with nausea, and my headache returned. I knew the entire evening was a God-thing. I had been carried. For that time, I was allowed to float above the circumstances on a cloud of peace. As my own weakness flooded me, I knew that I had walked through the evening in His strength. He equipped me for the task at hand. He poured out the measure of grace I needed to accomplish it. And, even more…He gets all the glory. Thank you…thank you for your prayers and your words of encouragement. Please continue to pray. We will be prayerfully focused on the needs of our family right now…so please understand if I am sporadic with my posts or less diligent in my commenting. I cherish the relationships I have found through this blog. And I have come to love and appreciate so many of you. As you pray for us, I do want to share that we are not facing anything life-threatening. There are just some changes and adaptations that we will have to work through as a family and as parents right now. It’s part of parenting…part of life. We are praying for the Lord’s wisdom, peace, and grace. The good news is that, as always, we are being carried by our loving Father…who is more than able. This evening, I am going to speak to a women’s church group about Sufficient Grace Ministries. This morning, I have a raging sinus infection, a heavy heart, and a distracted mind. Please pray for our family as we take another step into an unknown place. And, please pray for me as I prepare to speak…for my health, for focus, that the Holy Spirit would lead and give the words, that His sufficient grace would be poured over me. And that the ladies at the event would find hope, comfort, and blessing in their time this evening. When this task is complete, please pray that I could focus with all my mommy-heart on my family and their increasing needs right now. As, we face the next thing, I know our God is big enough to handle what comes. I think of what Angie Smith said, when she first heard that her Audrey Caroline had a fatal condition. She said, “My Jesus is the same…”. We take comfort in knowing that our Jesus is the same…yesterday, today, and for always. Our circumstances may change…but His promises, His strength, His grace, His mercy, and His love will always remain the same. We are secure in our steadfast God. The same God who parted the Red Sea holds us in His arms today. He is just as able, just as mighty, and just as willing to care for us and meet our needs as He was then. It is hard to share my weakness this morning…and my need for your prayers. I like to present a picture that I have it all together. Those that know me well…know otherwise! I think, “I’m trusting my Lord and He is able, so I can handle whatever it is”. I’d rather share with you our journeys after we’ve walked through the valley and look back to see God’s hand and His sufficient grace carrying us. After He has already restored us. It’s another thing entirely to come asking for prayer while still in pieces, feeling broken and weak. But here I am…please pray. Please pray for Jennifer. My heart is broken with and for this family…for this beautiful mother, today. I don’t have words. Just weeping with her…praying for her…walking with her. Please take the time to pray God’s comfort over her and her family…and stop by her blog to let her know you are walking with her, too.